So before we jump into the post I just want to take a moment to explain my absence. I've had so much work to do for University and I've also been ill so I haven't had any time to blog! After today my schedule should resume to normal or there might be one/two posts a week. So lets jump into the review! Say hello to my new holy grail foundation. It has taken me ages to try this foundation and I wish I had tried it sooner as it is SO good. Estée Lauder Double wear is quite a pricey foundation at just under £30 but oh my, it is so worth it. It has a full-coverage matte finish. It isn't a flat matte by any means, it gives the skin a lovely finish. Although it is quite thick as it is a heavy foundation it doesn't feel heavy on my skin at all. It’s transfer proof, sweat proof and it stays put all day long. It can be quite hard to take it off after a day of wearing it as it sticks a bit like glue, but I want my foundation to last all day. I can’t rave about this foundation enough. I don’t have oily skin so I can’t comment on oil control but I’m assuming it is designed for oily skin, therefore oil control should be good. If you’re on the hunt for a new full-coverage foundation I definitely suggest checking out Double Wear. You can go to a counter for a sample and they will colour match you too. She did match me to a colour too dark for me but their lightest shade Shell is the perfect shade for my pale complexion. 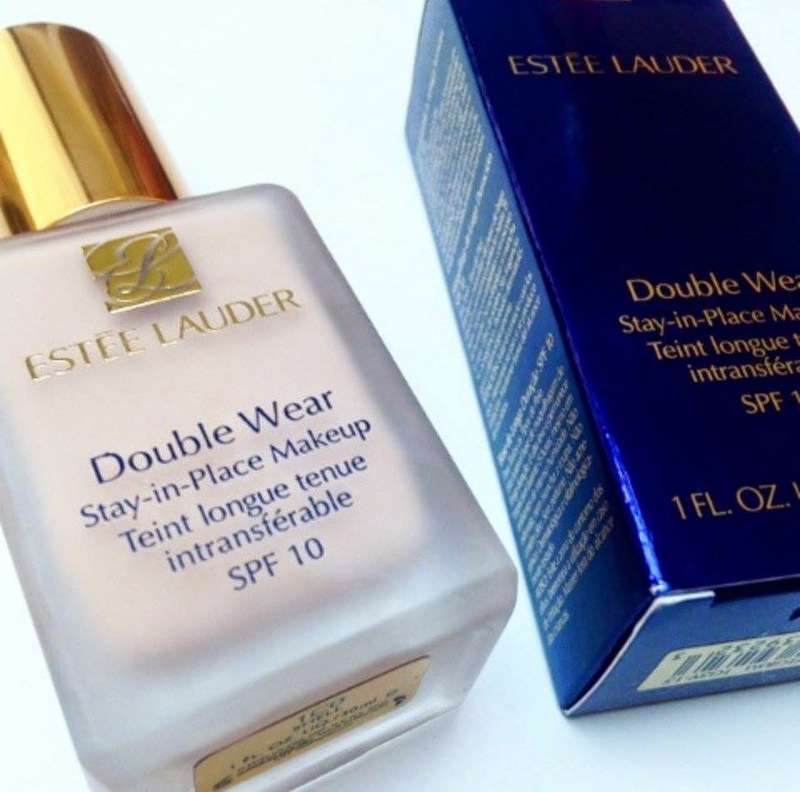 Have you tried Estée Lauder Double Wear? What do you think? I have a sample of this foundation but I don't remember loving it after first use. I should definitely give it another go - everyone seems to love it! I must try this foundation soon, its been on my wishlist for sooo long! Just finished my first bottle of this stuff, I really loved the coverage but my skin can be oily one day and dry the next and it doesn't look good on dry skin but other days it looks lovely!